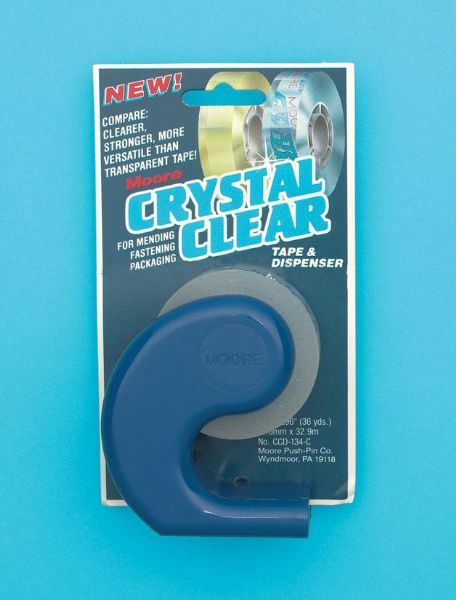 This is a polypropylene tape made of acrylic adhesive, stronger and more versatile than most tapes of this type and totally transparent. Disappears completely on all papers and won’t create shadowy ghosts on photocopies or diazo copies. Long lasting and moisture-resistant, it won’t curl, crack, or yellow. Extra-holding power is ideal for use by blueprinters, architects, and engineers. Ideal for mending torn vellum sheets.